I still after 2 weeks cannot get my head around how Tyson Fury was able to beat Wladimir Klitschko on his own back-door and win comfortably. To say it was a massive achievement is an understatement! It’s a real shake-up to a division that has been stuck in limbo for some time now and gives us the chance to see some epic title-fights over the coming years. 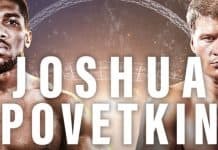 Since Fury’s win a lot of names have been thrown into the mix but one fight in particular with currently unbeaten Olympic 2012 champion Anthony Joshua looks to be a real prospect. Tonight’s fight between which will unify both Common-Wealth and British titles will put him in a great position and one step closer to that dream. So tonight’s fight will be a challenge for both fighters and to increase their profile further. 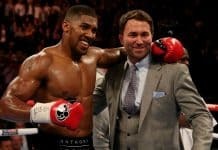 Joshua will want to put his defeat to Whyte when they were both amateur boxers to the back of his mind. 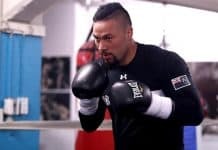 If he lets it get the better of him it could play a key role if the fight goes past the fourth round. Statistically there’s not much in it between both fighters so this should be a pretty fair fight and difficult to call. 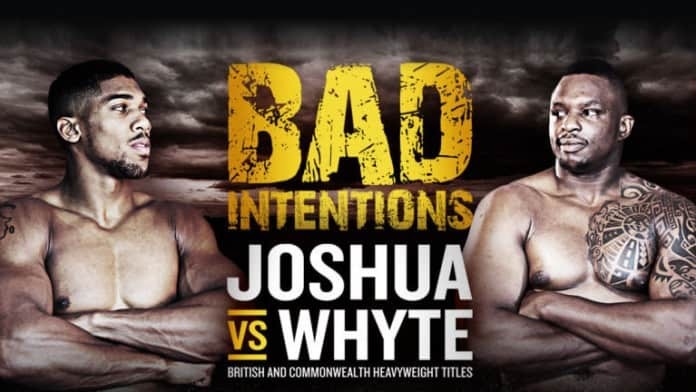 Both fighters also have a decent TKO record with Joshua picking up 10/14 TKO’s and Whyte on 9/16, so there’s definitely a good chance of this fight ending early before round 5. If you looking for great odds on the fight then look no further than William Hill if you fancy Joshua who the bookies have as the clear favourite. Or if you fancy going against the market you can get cracking odds for Whyte to win the fight.